Have you ever wondered what it would be like to ski like someone from a James Bond movie? Or what’s it’s like to cling to the side of a mountain in the snow? 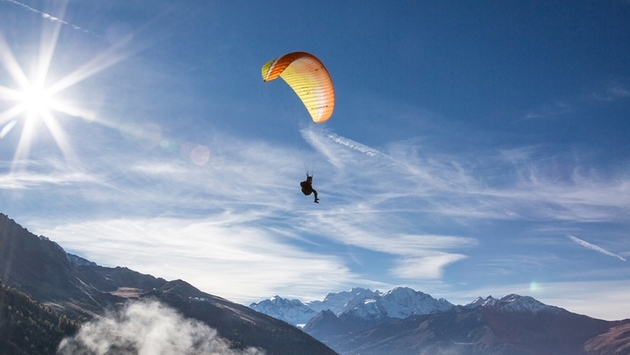 Switzerland is ready to welcome you, the thrill seeker, to its wintery abundance. If you are a fan of spy movies, the Verbier With Love experience, offered by Above and Beyond Verbier, is for you. Dubbed a “spy and license to ski experience,” thrill-seekers are sure to get the full secret agent lifestyle in Verbier, Switzerland. The bold can go full secret agent with four separate activities: License To Ski, Goldflying, Spy Who X Me and A View To A Thrill. These four encompass learning to fly a helicopter, paragliding, skydiving and avalanche rescue training as well as tamer activities such as freeride skiing, heli-skiing on a glacier and stunt/freestyle ski lessons. Alpin Center Zermatt is now offering a new via ferrata course, La Traversata or “the crossing,” in the Furggrat region along the border of Italy and Switzerland. For those who aren’t familiar with via ferrata, it’s a mountain climbing method that involves traveling along ramps and rungs bolted into a cliffside while the climber is clipped into a cable that runs alongside. What makes this new course unique is it can be done during the winter months. “This winter via ferrata is only for experienced mountaineers, who are used to climbing with crampons and attached skis on rocks and ice,” says Kurt Lauber, hut warden in the Hörnlihütte, mountain guide and co-initiator of the new via ferrata. Not for the faint of heart, there is also the chance to spend the night in “ghost station” which is a defunct aerial tram station from the 1950s. Gstaad, Switzerland, will welcome the snow bike festival Jan. 17-21. The “snow bike” is a fat tire back with traction that allows riders to tackle routes covered in snow. The sport offers mountain riders a great excuse to keep riding all winter long and has become quite a popular sport recently. Visitors can rent bikes and from a couple different outfitters during the festival to join in the fun or just watch the races unfold on the sidelines. Head to Grindelwald and descend from Faulhorn via Bussalp to Grindelwald for a thrilling descent and one of the longest toboggan runs in Europe. Tobogganers must pull their toboggans for about 2.5 hours on an enjoyable walk, but then they are rewarded with a 15 kilometer descent, known to be one of the greatest of all runs. If you think winter is a great time for a dip, then ice diving in Lake Lioson is sure to please. Snow-covered ice hides the lake but experienced divers can head underneath to explore the lake’s crystal clear waters. Diving weekends are organized regularly and a restaurant offers food and shelter. Divers must have a valid license to dive.